It’s smelly, it’s easily overcooked, it’s a pain to clean it and we can go on and on… we all have our reason to not eat fish as often we’d like t.
But the fact is: This white meat is a summer staple that not only tastes great but has long been touted as a superfood rich in omega-3 fatty acids. Time and again, we’ve been told to eat fish for various health benefits including lowering blood pressure and reducing the chances of stroke. Cooking a delectable fish fillet may seem daunting at first but once you get started, you’ll see that it’s really the easiest of all meats to cook. 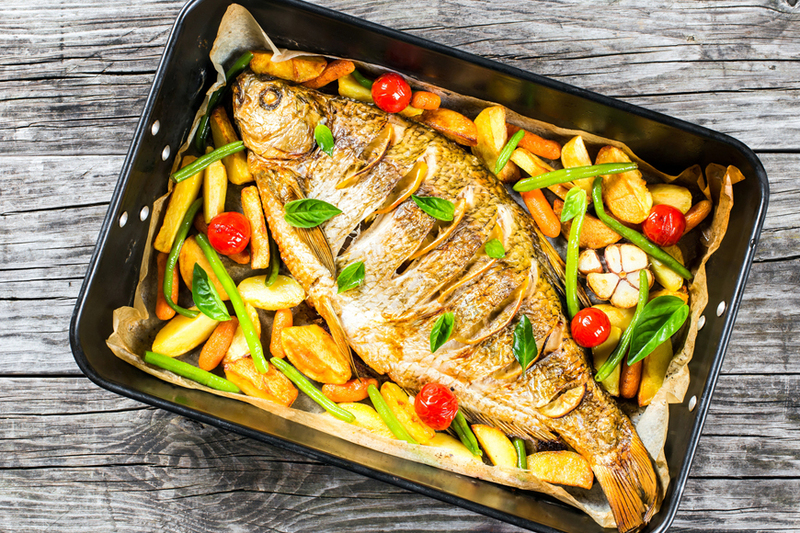 Here are some clean, healthy and super-easy baked fish recipes for days when you have less than 30 minutes for dinner prep. 1. Baked Honey Garlic Salmon in Foil. Sweet and tangy flavours shine in this bright seafood dinner. A whole salmon fillet coated in honey mustard garlic sauce gets baked in foil and broiled to a flaky finish. Dinner 's ready just 25 minutes. The best thing about using budget-friendly tilapia? It cooks in just 10 minutes. This particular recipe is drizzled with that low-fat butter sauce. It goes right in the oven from start to finish, making your life just that much easier. Cod fillets are rubbed with a flavorful spice mixture before roasting to perfection. Top this roasted chili-lime cod with a delicious lime-butter sauce and serve with your favourite veggie and rice, quinoa, or cauliflower rice for a simple weeknight meal! Coated with a thick, crunchy coating of parmesan and garlic breadcrumbs, this is one crumbed fish that everyone is sure to love. In this recipe, the fish is coated with a delicious blend of herbs and spices, then drizzled with butter and lemon juice and baked. So much better than fried!